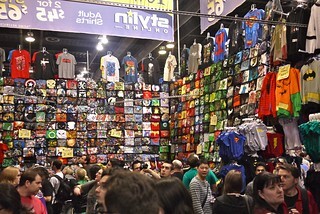 First annual Fan Expo Vancouver comic book convention (day two) at Vancouver Convention Centre West on April 22, 2012. 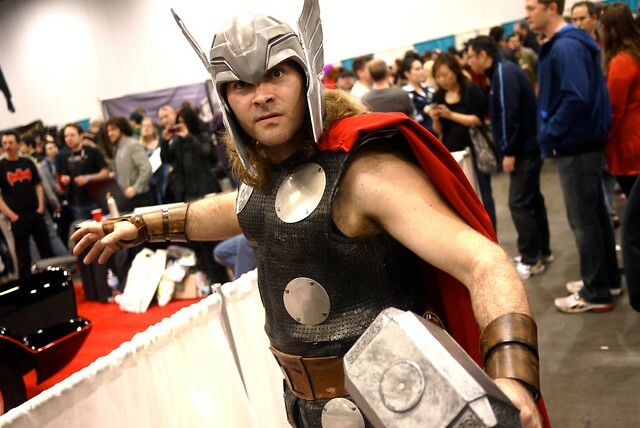 More costumes and cosplay fun after day one with The Mighty Thor and his hammer Mjölnir (very top) and Spider-Man riding the escalator down to the convention show floor. 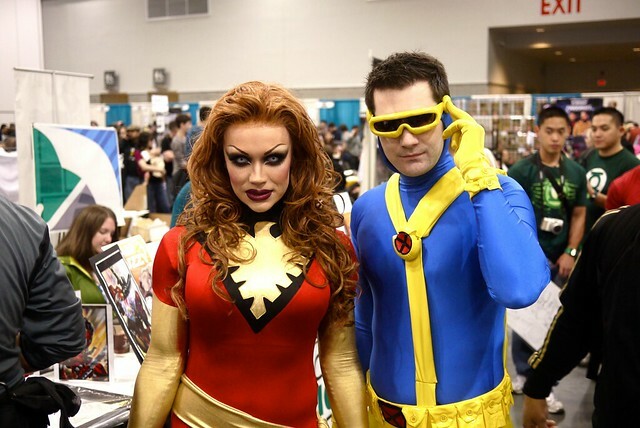 The X-Men were in full force with Jean "Phoenix" Grey and team leader Cyclops. The geekery continued with the classic 1960s Batmobile anchoring the festivities as well as the massive t-shirt and collectable display. 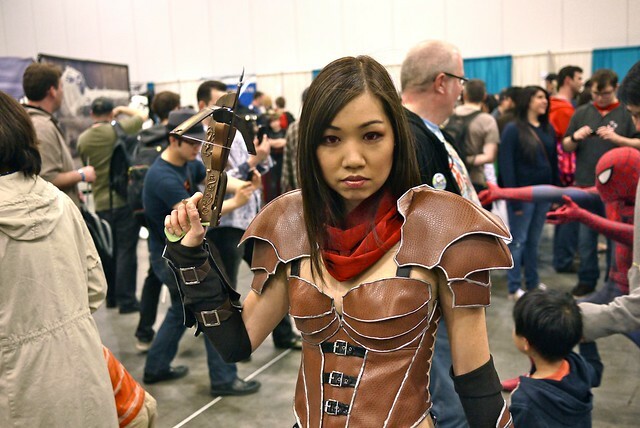 Shocked and stunned, running into my good friend Vanessa Chu decked out in a full Demon Hunter costume from Diablo 3. 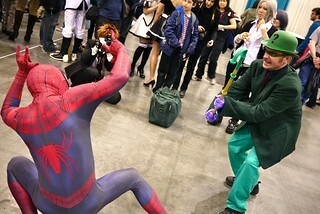 Comic book universes collided with Spider-Man battling Batman and then the Riddler. 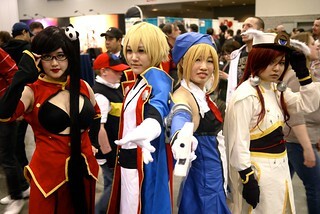 I have no idea who these Japanese anime characters (right) posing were, dressing sharply. 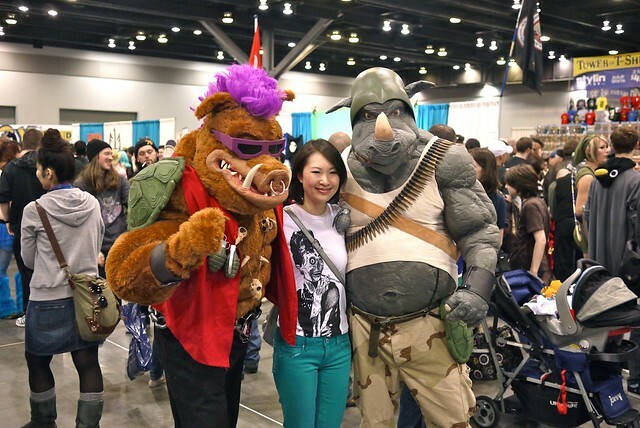 Killing it, massive Behop and Rocksteady costumes from the Teenage Mutant Ninja Turtles. 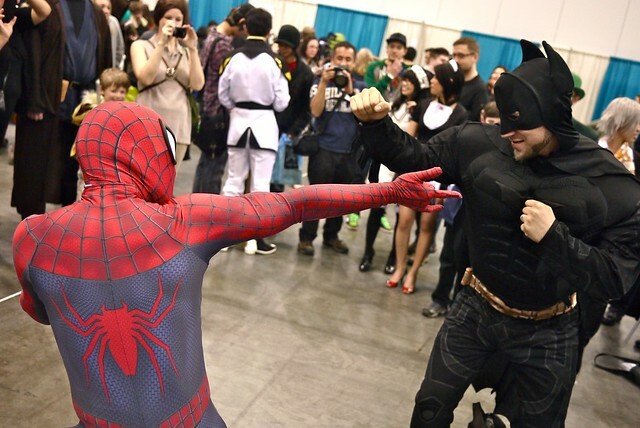 A fan channeling her best Michelle Pfeiffer from Batman Returns in this sick Catwoman catsuit. 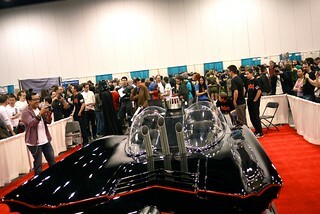 Another stellar day and wrap up to the first annual Fan Expo comic con. 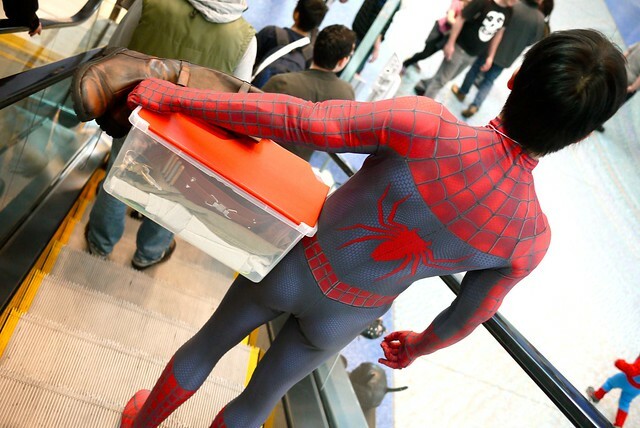 So much fun seeing all the geeks and fans dressed up, embracing their environment and celebrating pop culture.